To me, Julia Jacklin has almost come out of nowhere. Her name was unfamiliar to me until it came into my locker at PBS. The album cover itself was intriguing – an image of the artist sitting in a lounge chair next to an exercise ball in a 70s-styled lounge room. I wasn't exactly sure what sort of music I was going to find inside but straight away, I knew it was going to be something I liked. Intelligent lyrics, a great voice and just great, strong songs. The opening tune, ‘Pool Party’, is a slow burner introduction to the album, a nice sing-a-long to get you in the mood. This is followed by ‘Leadlight’ which starts in a similar vein but builds to a striking crescendo. ‘Coming Of Age’ is the most rocking tune on the album by far. To my surprise, it hasn't been released as a single as yet but it has single written all over it to me as it's probably the catchiest song on the album. The rest of the album has a generally more mellow and sombre tone but that doesn't make it any less beautiful. It's a great debut album from this Australian singer/songwriter. 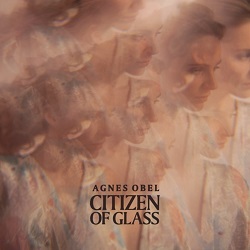 I started listening to Agnes Obel's Citizen of Glass and with each beautifully building melody, the tension of my day slipped away and was replaced with a welcome sense of calm that also left me feeling strangely vulnerable. I then saw that the album's title and motivating concept was around an idea of how much we expect to know about people now; how in society we have to be "willing to open up; to make yourself a little bit of glass." Obel used this idea to inspire the album, and has captured that sentiment eerily well. Her ability to craft an all-consuming melody that primarily centres around piano, cello and vocals continues to astound me as well. Her characteristic melodic style is strong and recognisable, but Citizen of Glass is different to Aventine in that it shows off more complex play between the instruments with less of a focus on her rhythmic piano style. "Trojan Horse", "It's Happening Again" and the title track are my picks of an outstanding bunch. Obel hoped to make this record bigger, and it certainly feels that way. Challenging, yet familiar, this is my favourite album of hers to date.